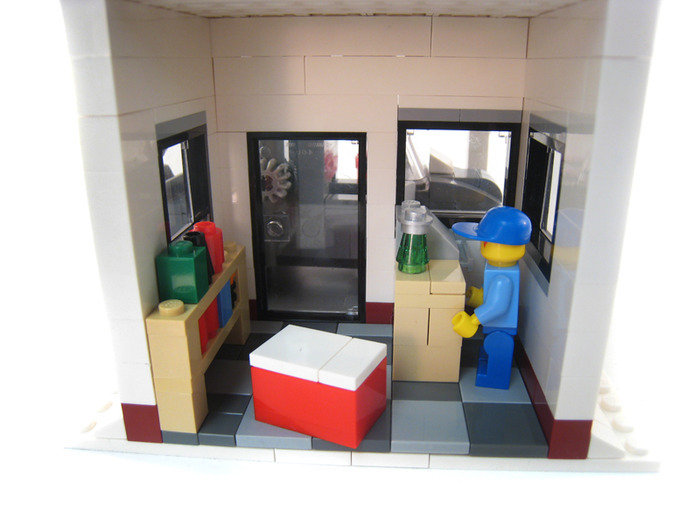 The third model in Brick City Depot's winter village series, this little gas station is just the thing to complement your existing winter village. 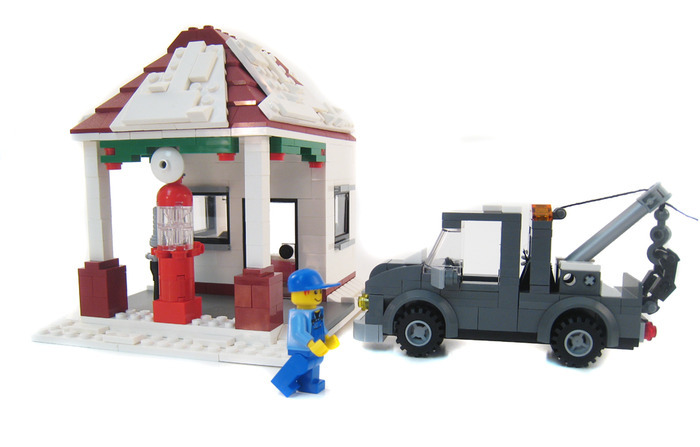 The gas station features a nice little technique for adding 'snow' to any roof, a vintage-styled pump and directions to build a tow truck. 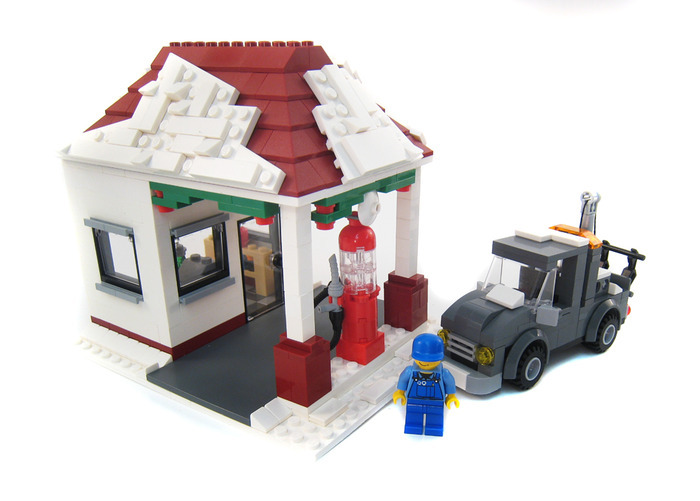 Remove the holiday dressing and the snow, and this small gas station would fit in with any small town layout.